Posted on March 27, 2019 at 4:44 pm. 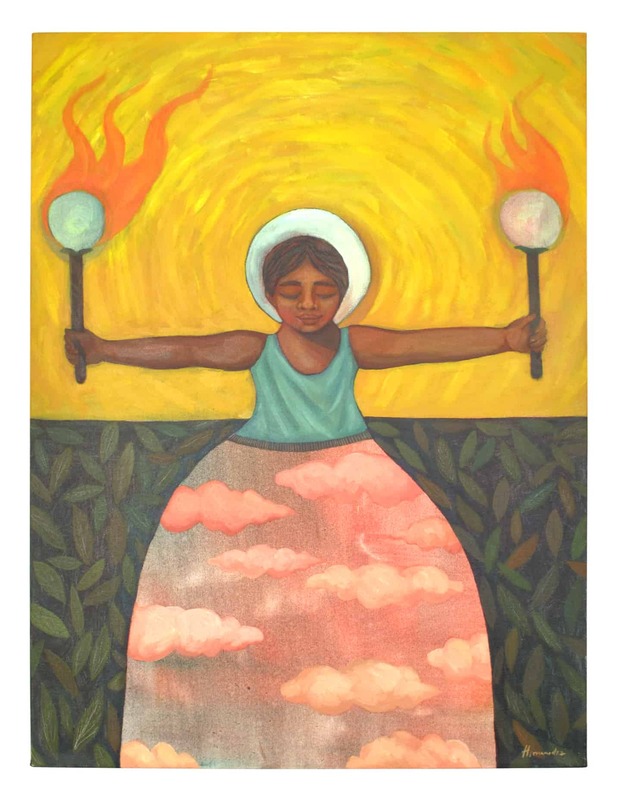 PORTLAND, ORE —The Regional Arts & Culture Council is proud to announce the purchase of 99 new small to medium scale artworks from 57 artists for display in the new Gladys McCoy Building, the Multnomah County Health Department Headquarters at 619 NW Sixth Avenue. Artworks for the building have been selected by a community panel to reflect qualities of Lightness, Openness & Optimism. The lobby artwork is by artist Francesco Simeti and the 99 smaller scale artworks by 57 local artists will hang in floors 2-9 when the building opens on April 9. These artworks are new additions to the Portable Works Collection, which consists of over 1,200 works on paper, paintings, prints and textiles. RACC will publish images and basic information about the artworks once everything has been catalogued and framed. Many artists who are new to the collection have been included in this purchase. These artworks are part of the Multnomah County 2% for Public Art program managed by RACC and generated through the construction of the new building. An artist reception will take place in late Spring – early Summer 2019.